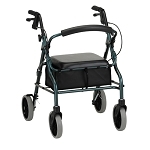 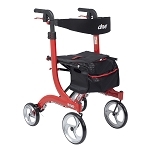 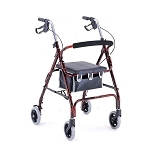 The Drive Steel Frame Rollator from IndeMedical.com features a comfortable padded seat and has convenient under seat pouch for added privacy and security of personal items. 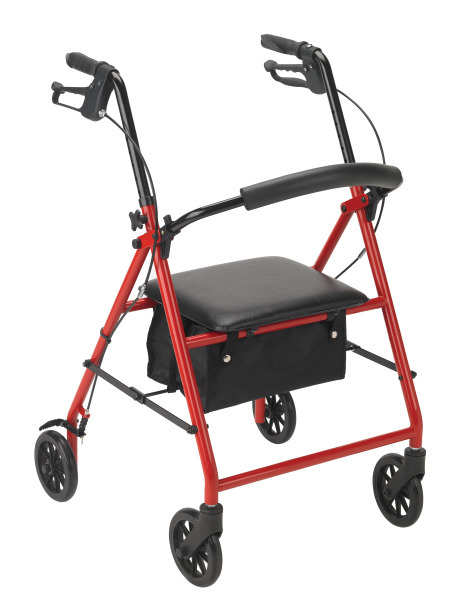 It comes with a removable padded backrest that can easily be folded up or down. 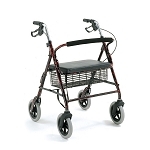 The Large 6" black soft grip tires are ideal for indoor and outdoor use.